This post will focus on our work with door closers. At IKS Locksmiths we are MLA approved specialists in residential security and commercial security . 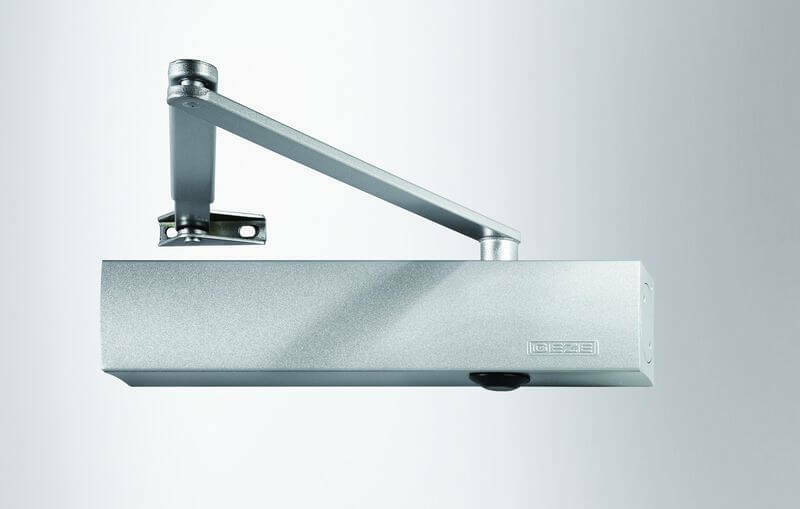 We supply commercial door closers and residential door closers. Just last week I attended a block of flats where there had been a break in because the communal door had been left open because there was no entry door closer. Door closers in hotels, care homes, hospitals, schools, offices etc are required for both fire safety and security reasons. It is important to seek the advice of a qualified professional to ensure that you choose the correct door closer for the specific situation. Installing a door closer is not a job for an amateur. It is important that door closer installation is done properly by an experienced expert. At IKS Locksmiths we are experienced in commercial door closer installation and residential door closer installation and have been fitting a range of door closers products for 10 years+. Choosing the correct door closer for the right size door. Choosing one that will work well and wear well in a particular situation. Maintenance required – They should be regularly checked by a locksmith as adjustments may need to be made. We are in independent MLA approved Locksmiths and being mobile and having low overheads allows us to offer competitive prices for high quality products and workmanship. If you would like a quote for door closers, other door entry hardware or a free security survey of your property we would be delighted to hear from you. My next diary post will explain our work with push bars. In the meantime all comments and questions are very welcome.